22/12/1883, Albert Road, Hale. 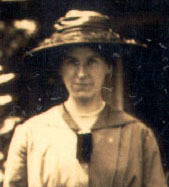 Daughter of Henry Howard Balshaw and Susannah. Have birth certificate. Lived in the house on the right of Bank Street Wesleyan Methodist Church. Worked for Balshaw and Sons.